Myopia, often referred to as near-sightedness, is an extremely common refractive disorder that affects as many as one in three people. People who suffer from myopia tend to have good close-range vision, but will struggle to see things clearly that are further away such as road signs and displays, which will appear fuzzy and blurred. Myopia can be treated. 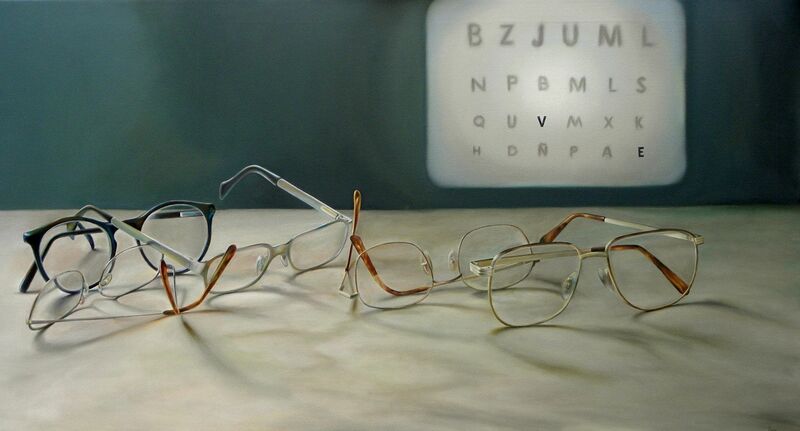 Many patients choose to wear eye glasses or contact lenses to improve their vision. More recently, refractive surgeries such as LASIK are being used to treat myopia with great success. The way our vision works is determined by the way that the light focuses on the retina in the back of our eye. Myopia is normally caused by the extended growth of the eye, which then causes the light to focus on a spot that is slightly in front of the retina, meaning that objects viewed from a distance appear blurred. Although a significant amount of research has been done into the development of myopia, there are still no clear reason as to why some people develop the condition and some do not. However, there are some influential factors that could increase your likelihood of becoming a myopia sufferer. One of the biggest perils of the modern world is how much time we spend looking at a screen. Whether it is a desktop computer, laptop, smartphone or tablet device, spending a long time focusing your eyes in this way can increase your risk of developing myopia. This one of the main reasons why eye doctors recommend regular screen breaks, which give your eyes a chance to relax. Unfortunately, myopia often runs in families, so genetics clearly play a part in the role of its development. If your parents or grandparents have the condition, there is a good chance that one day so will you, as well as your offspring. Some studies suggest that if you spend a lot of time indoors your eyes will find it difficult to adjust to the brightness of natural light, making you more likely to develop myopia. However, it is also important to wear sunglasses that block UV light, as ongoing exposure can damage your eyesight. If your long-distance vision starts to become blurry, this is a good indication that you may be developing myopia. You may find that you need to sit closer to things in order to see them well, such as your television screen, a sports game, a stage or the screen in a movie theatre. Other symptoms of myopia include regular headaches and eyes that feel like they are strained. Diagnosing myopia is simple, painless and quick, all you need to do is undergo some routine testing with Dr. Goel. The tests won’t just look for myopia, but instead will identify any problem with your vision, whether it be far or near-sightedness, astigmatism or any other type of visual impairment. When you are diagnosed with myopia, the severity of your condition will be given a classification which is arrived at by measuring the focusing power of your eyes. Mild myopia sufferers are given a classification up to -3.00D. Moderate myopia sufferers are given a classification between -3.00D and -6.00D. Severe myopia sufferers are given a classification of more than -6.00D. Most patients are classed as having mild to moderate myopia. A prescription for corrective lenses, which could be either in the form of eye glasses or contact lenses. Laser eye surgery. This increasingly popular way of treating myopia works by altering the shape of the cornea so that the light hits it in the correct way. Artificial lens implants. This procedure involves the insertion of a permanent, corrective lens into the eye in a short, simple operation. Dr. Goel has the knowledge and extensive experience to be able to offer the highest quality myopia treatment and patient aftercare. To find out more about the condition and how Dr. Goel can help you, get in touch by telephone or make an appointment at our modern, comfortable offices in Baltimore or Colombia where a friendly smile always awaits you. Since it first became available in the United States, nearly 20 million LASIK surgeries have been performed, with more than 95 percent of patients who underwent the surgery expressing satisfaction with their results. This makes LASIK one of the most successful surgical procedures in history. The vast majority of patients who entrust their LASIK surgery to Dr. Goel emerge from the procedure with at least 20/40 vision, and most achieve 20/20 vision or better. All of these patients are able to drive legally without glasses or contact lenses, and most are able to bid farewell to visual aids altogether. This accords with the national average, as approximately 90 percent of patients who undergo LASIK surgery achieve 20/40 or better vision. Throughout the years, the success rates of LASIK have only improved, with the introduction of wavefront technology and laser keratomes making the procedure safer and more precise. Likewise, Dr. Goel has been able to achieve even better results for a wider variety of patients by offering custom blade-free LASIK. Through the use of a wavefront-mapping device that creates a remarkably detailed map of the eye in combination with a laser keratome that replaces the handheld microkeratome blade used in conventional LASIK, he can provide a truly customized procedure with more predictable results. Ultimately, the LASIK success rate that Dr. Goel has achieved owes as much to his meticulous screening process as to his skills and use of the most advanced technologies. No matter how refined a surgeon’s abilities and equipment, poor candidates for LASIK are unlikely to achieve good results, and they could end up with substantially worse vision than they had before surgery. Dr. Goel thoroughly evaluates each patient’s eyes and medical history before allowing him or her to undergo LASIK. If a patient is not a good candidate for the procedure, he presents them with information about alternative treatments, such as PRK. To learn more about Dr. Goel’s success rate in performing LASIK, or to schedule your initial consultation, please contact our laser eye surgery center today.